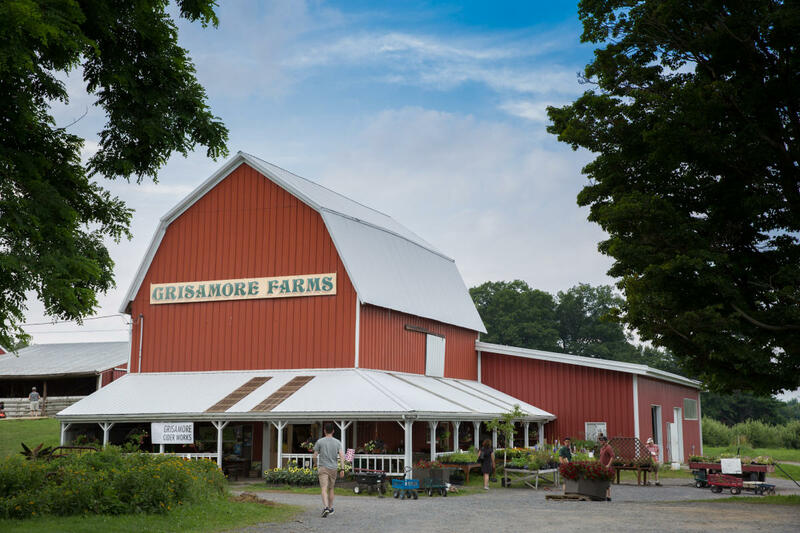 Grisamore Farms offers a U-pick and farm store. 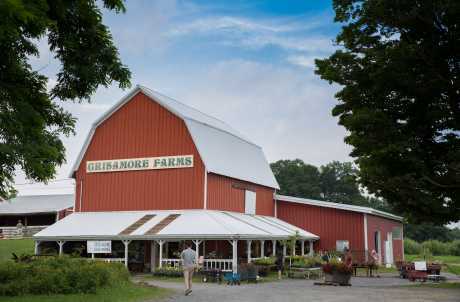 Their farm store is located in a 19th century dairy barn. Over the years it has housed chickens, beef cows, pigs, sheep, goats, horses, and ponies. In 1975, they decided that we needed a place to sell our produce and converted the barn to a store. Products for sale include locally made honey, maple syrup and preserves. They have locally milled flour, pancake, cookie, bread, and muffin mixes as well as popcorn kernels in gallon jugs. The store carries Hershey's old fashioned ice cream novelties including Popsicles, Nutty Buddies and Fudgesicles, and they also offer a nice selection of cold beverages and snacks. Their crops are: Strawberries, Sweet Cherries, Raspberries, Blueberries, Currants, Peaches, Tomatoes, Sweet Corn, Peppers, Hardy Mums, Apples, Apple Cider, Winter Squash, pumpkins and cucumbers. Call for details on their u-pick! Hay rides every weekend in the month of October!! School tours available too!